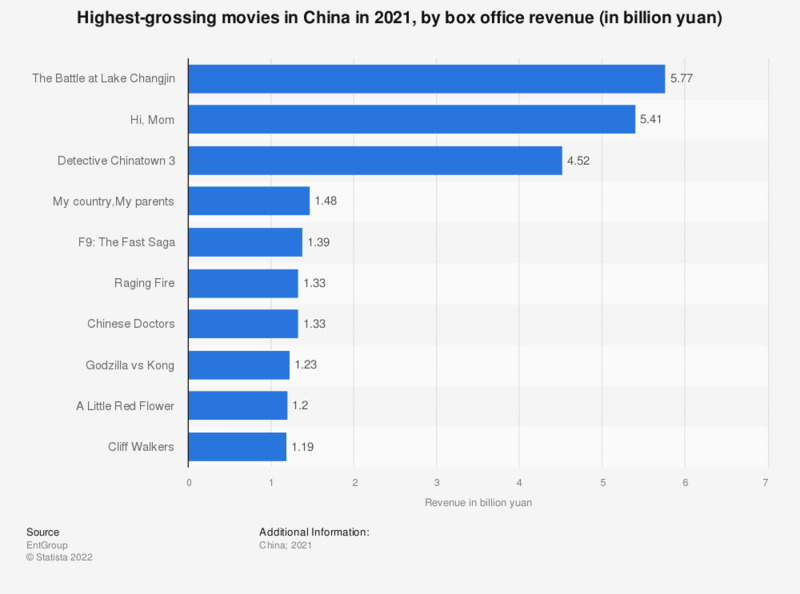 The graph shows leading movies in China by box office revenue. In 2017, the movie "Wolf Warriors" generated around 5.68 billion yuan. Note: 1 yuan equals approximately 0.15 U.S. dollars and 0.12 euros (as of September 2018).